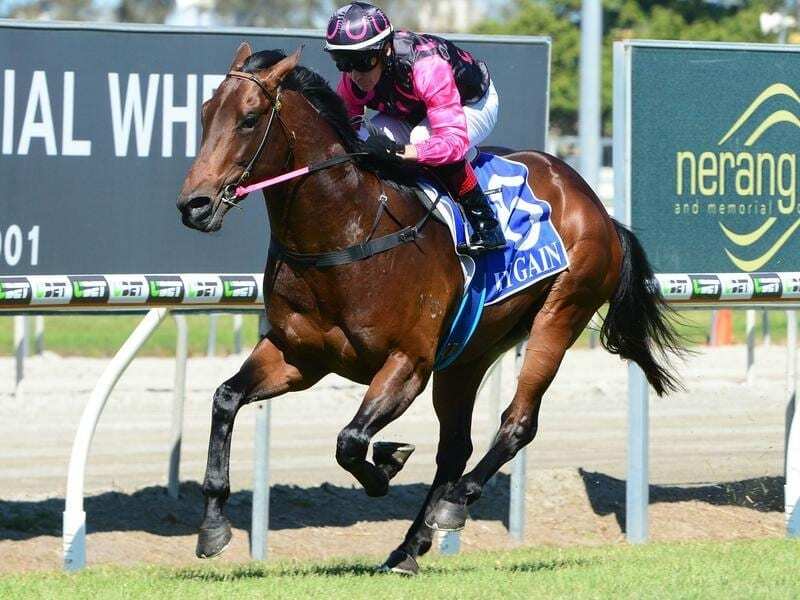 Fuji Flyer has given trainer Gillian Heinrich a comeback winner with victory at the Gold Coast. Trainer Gillian Heinrich celebrated a full-time return to the racetrack with the impressive win of Fuji Flyer at the Gold Coast. Heinrich has been one of Queensland’s top trainers for two decades with her biggest win coming in the 2010 Magic Millions 2YO Classic with Military Rose. In recent years she has been receiving treatment for bowel cancer which has included some trips to consult European specialists. She has continued training in a partnership with Ben Rogers which has produced plenty of winners. Heinrich has been only an occasional visitor to race days but with a brighter health picture she has been back full-time in the past week. Sent out favourite, Fuji Flyer ($1.50) gave her the perfect comeback present with an easy win after a slow start. The gelding had won two recent trials and Heinrich thinks he can win in better class. “I feel great and still walk every day so I am fit,” Heinrich said. Jeff Lloyd, who won on Fuji Flyer, made it a winning double on Smartypy ($2.05). Smartypy was originally trained by Bjorn Baker in Sydney and was having her first start for Eagle Farm trainer Chris Munce. “She only had to live up to her track work but she can get a bit hot on race days,” he said. Former Victorian jockey Ryan Maloney, who has taken Lloyd’s place as No 1 rider for trainer Toby Edmonds, took his win tally to 11 since moving north on August 1 with a double. He rode Edmonds’s I am Impinge to score an easy win in a Class 3 (1400m). Stable foreman Trent Edmonds said I am Impinge appreciated a drop in class and getting away from Doomben where he wasn’t suited. Maloney made it double when he rode Steve O’Dea’s Mullaghmore ($1.60) to an impressive win.